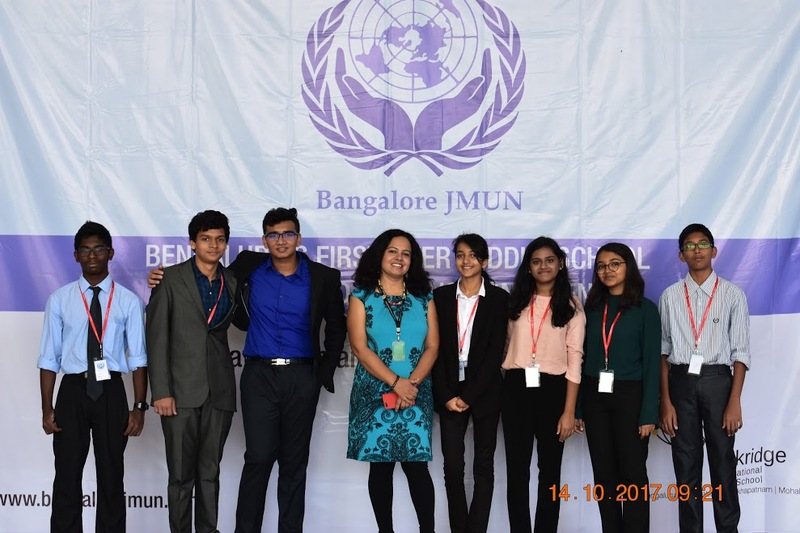 Bangalore: Oakridge International School hosted OakJMUN a Junior Model United Nations (MUN). It is a platform for students from grades 6 to 8, to engage in substantive debate through a simulation of the United Nations session. The theme of the conference was ‘Fulfilling the UN Sustainable Development Goals’. OakJMUN gives students a chance to represent as a Global Citizen and come up with solutions to ever-widening issues. It also creates an opportunity to make a difference in the world. A conference that gives a view into politics and current affairs that dominate foreign policy and global decision-making. Around 200 delegates and 8 schools participated in this event. Oakridge International School believes in creating a Global Leaders by giving its students an opportunity to participating in such leadership programs. 5 committees represented the JMUN. Each committee had a separate agendas.